... began in 1982 when Peter Miller (aka Dr. William S Ray - vocals, tapes, guitar) met Andrew Millar (aka Maurice Spectograph the Nose-y Pieman - program execution) in Gold Coast, Australia. While sharing a similar taste in music, they decided to form a band, so DIVE POSITION was born. Equipped with a Korg synthesiser and Tascam 4-track recorder, they "wanted to have the 'sound' of Kraftwerk, the groove of Can, and the 'menace' of Throbbing Gristle", ending up with "a cross of Suicide and the Residents", as Peter recalls. In a local record shop they met Stig Andre Leonardson (aka Vincent Blackshadow), who joined the duo on percussion and drum machine programming. Their motto was "Now is Then". DIVE POSITION then became THE FATAL CHARM around 1984, and THE FATAL CHARM became THE SHINING PATH who eventually released their only album "Basic Training Manual" in an edition of only 250 copies, most probably in 1986. 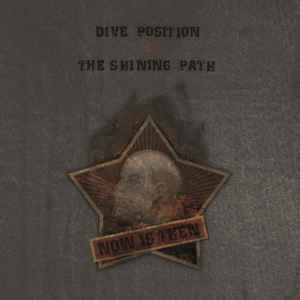 The band then started to drift apart, and shortly after Andrew sadly passed away - this compilation "Now is Then" comprised of previously unreleased DIVE POSITION and THE SHINING PATH material is dedicated to his memory.